A cleft is a birth defect. Babies are born with an opening in the lip and roof of the mouth (palate). Bones and tissues of babies’ upper jaw, nose and mouth normally fuse to form the roof of the mouth or upper pallet during pregnancy. Cleft may look as a small opening in the upper lip or can be extended up to nose. Cleft might also extend into gums and affect the soft palate near the back of the throat. Cosmetic surgeons perform cleft palate surgery of babies when they are 3-6 months old. After administering general anesthesia, surgeons use special procedures like lip adhesion or a molding plate device to bring the parts of lips closer together, before it is repaired completely. This surgery might leave a scar on the lip under the nose. 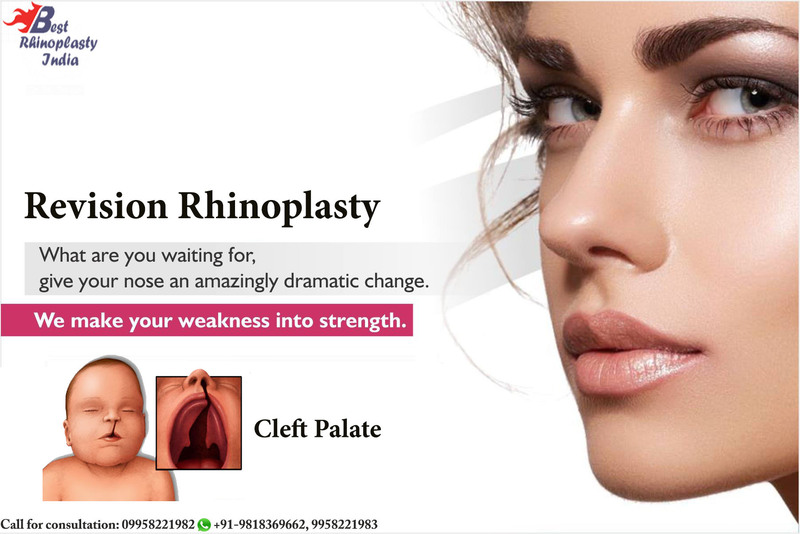 At the age of 9-12 months cosmetic surgeons repair the cleft palate by connecting the muscles of the soft palate and rearranging the tissues to close the cleft. This surgery is performed administering general anesthesia and might require a short stay in hospital for recovery and healing. If a patient is not satisfied with the results of a nose job, surgeons can suggest going for a revision rhinoplasty after waiting for sufficient period to evaluate the results of earlier surgery. Usually a patient is asked to wait for at least a year for healing the scars. This procedure might be different for every patient depending on the specific area of the nose to be treated and amount of amendment expected. Surgeons perform revision rhinoplasty administering general anesthesia, local anesthesia or sedation. This takes usually longer periods than primary rhinoplasty. Surgeons try to recreate the symmetry of nose by adding or removing cartilage. This helps in opening the airway and achieving better shape of nose. Surgeons usually take incisions inside the nostrils and perform the reshaping of specific part of nose.